Yes, regardless of what many YouTube “fail” videos may imply about the intelligence of the human race, people are in fact pretty savvy — and they’re not easily swayed by old-school marketing tactics. In fact, research shows consumers value customer reviews and peer recommendations over traditional advertising more than ever. Why? Because they value authenticity. But can brands be authentic? Sure. There are plenty of good examples of this, but influencers can provide a human extension of your brand. They can connect your business to customers in a unique way. For some people, the term “influencer marketing” may conjure images of Britney Spears posing with a Pepsi, Bill Cosby pitching Jell-O pudding pops or Shaquille O’Neal endorsing…well anything, really. However, celebrity endorsements are not influencer marketing. Here’s the difference: Celebrities pitch products, but influencers produce authentic content for brands they believe in. Influencers are individuals with high reach and relevance who leverage their influence among friends and family to spread your message online. What makes them successful and appealing is their authenticity and relatability, which is one of the bigger differences between them and celebrities. According to TapInfluence, influencer marketing often goes hand-in-hand with two other forms of marketing: social-media marketing and content marketing. Many influencer campaigns involve quality content — whether that’s produced by you or by the influencer themselves — and that content is then shared on their social media platforms to engage their followers. Those followers respect the opinions of these influencers and may purchase your product or service based on that trust. Sometimes, they may even love your product so much and be so inspired that they become promoters of your brand themselves. It’s the circle of (influencer marketing) life. 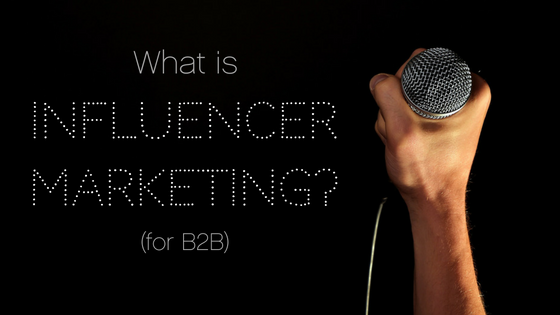 What does influencer marketing mean for B2B brands? If you’re thinking influencer marketing is a great fit for B2C, you’d be right — but just like those pesky math exams in school, you’d only get partial credit. While some of the most popular examples of successful influencer marketing campaigns came from B2C brands, the practice got its start in B2B. These people can be some of the best influencers for your B2B company, and each has unique strengths to help spread your message. Employees can share original content and start conversations on social media like the folks at IBM did recently. A CEO who is active on social media can lend a face and personality to the company while also strategically promoting content and building relationships — even if he or she needs a little help from your social and/or content team. 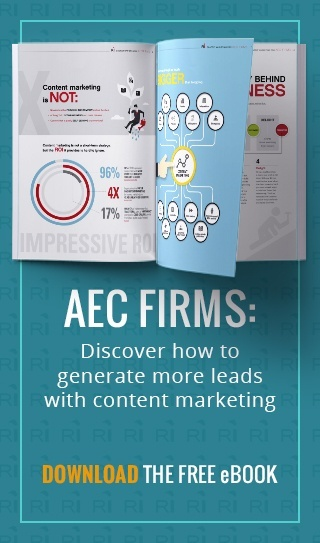 Finally, your clients may wield the most power as influencers. Check out how the B2B identity and device management company Okta crafted stories out of client testimonials, each complete with with stats, a video, client quotes and a blog post. Ultimately, B2B influencers are everywhere. Look for industry analysts, thought leaders, conference speakers and contributors to relevant publications and blogs. Promise argues it’s not really about B2B vs. B2C anymore, but that all business today is H2H: Human to Human. Marketing is a two-way street of communication, and customers want to engage with real people. Now hold on. Before you dump all your money into an influencer marketing strategy faster than Donald Trump will hit “send” on his next tweet, remember: Investing in influencer marketing isn’t a ticket to overnight success. You need to test and control for different variables to target the right influencers, audience and content. Plus, it’s a strategy that can take time to develop. When done well, however, authentic influencer marketing can pay off big time and get even more people to “sell” your brand for you. I’m a fan of an Attract, Engage, Convert model for keeping content accountable and it applies easily to influencer marketing programs as well.